Landscape handles relationships with millions of insurance customers and is used by 19 businesses including Markerstudy Group, Direct Line Group, The Ardonagh Group and KGM. In developing Landscape, as with all our insurance solutions, we spoke to stakeholders to make sure they got what they wanted, and we spoke to users to make sure they got what they needed. The result is hard-working software – real business flexibility for policy admin, with its own comprehensive rating engine, no-nonsense claims management functionality and automated accounts. We designed it with ultimate ease of use in mind. Cloud based and scalable for any size of insurance business, Landscape integrates seamlessly with aggregators and supports the rapid development of new websites. Landscape supports all sales channels and, as it’s modular, it can be introduced component-by-component as well as all at once. It spans all areas of insurance including policy and claims, accounts, rating and channel management. 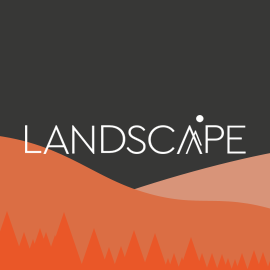 Landscape delivers key policy administration functionality including full policy history, support for all adjustment types (including the ability to roll adjustments back and forward while maintaining the integrity of the policy records), inbound and outbound bordereaux, document production, email integration, billing and workflow. The policy module is closely coupled to Landscape’s rating engine. Screen layout selection and all information, available from drop-down lists on the policy screens, are managed within the rating engine and are product- and scheme-dependent. The policy screens are designed so that key policy data remains visible at all times, and, if required, policy administration can be undertaken securely by staff, brokers or directly by the customer via the web. Fast, efficient, end-to-end claims management. The claims module integrates seamlessly with the policy module – details submitted by a customer reporting a loss will automatically be checked against the policy when the claim is being validated. The integration with Landscape’s graphical workflow component enables insurers to control very precisely how, when and by whom a claim is handled. Landscape’s powerful workflow tool allows for highly efficient process management. Tasks, events and escalation procedures can be generated from trigger points and assigned to users based on their roles and workloads. Landscape integrates with sophisticated rules-based workflows and process automation. Landscape’s accounting suite enables automated control of insurers’ finances. Accounting entries for any entity, such as a policy record, can be accessed instantly from any relevant area in Landscape. Landscape’s channel module allows insurers to handle any type of distribution relationship. As Landscape’s key policy and claims business logic is exposed as web services, insurers can easily create websites to serve their customers or intermediaries or allow third parties to securely integrate with Landscape. Landscape connects to RDT’s data warehouse solution Horizon, which provides all MI capabilities. Landscape helps insurers identify fraudulent activity early on in the claims handling process via its comprehensive set of fraud rules, which automatically score all claims as they enter the system. Other anti-fraud capabilities include the rating engine analysis and data enrichment, and integrations with security solutions such as Synectics. Landscape allows insurers to adopt a more client-centric view of their data. This speeds up and personalises customer service, and also helps staff to identify opportunities to cross-sell or upsell other products and services.